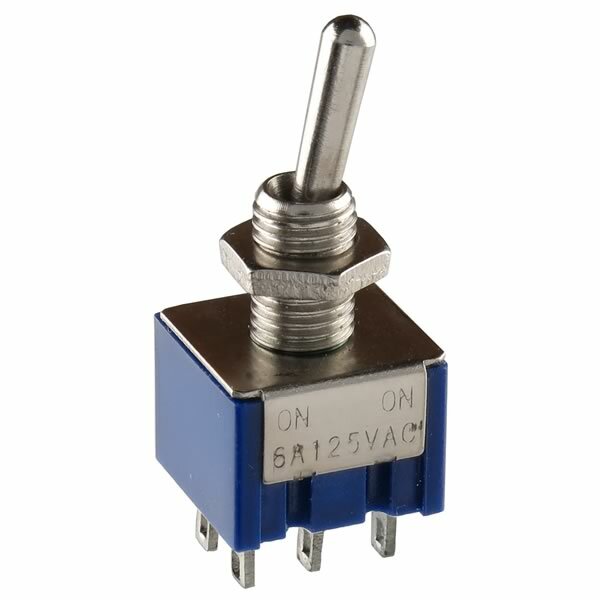 Miniature toggle switch with panel mounting nut. Brand new with chrome plated bat handle. DPDT contacts with 6Amp 125VAC / 3A 250VAC contact rating. Sold in package of 5.